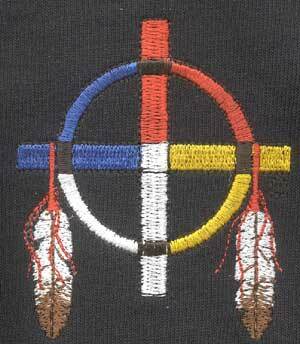 Outstanding t-shirts from Lakota Designs®. The designs are screened on 100% preshrunk heavy weight cotton short sleeve shirts. All styles combine for the quantity price. 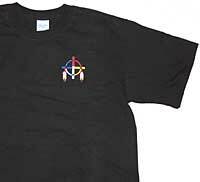 Black short sleeve T-shirt with an embroidered medicine wheel representing the four directions.